We've spent the past couple of days in Phnom Penh and I have to say I like the city. We decided to splurge a bit on our hotel and are staying at an excellent boutique hotel with a nice pool just behind the Royal Palace. Pretty cool that a splurge costs $50/night. But at $50 this is the most expensive hotel we've had yet on our trip. I have a bunch of pictures from Vietnam ready to upload but the wifi connection here is horrible so hopefully we'll get a better connection in the next few days. We spent yesterday going to the Killing Fields and Tuol Sleng Prison (S-21). It was a very moving experience and I am going to try and do separate post just on that. Last night we went to the Foreign Correspondents Club for dinner. This was a place made famous during the civil war as it had a great balcony overlooking the Mekong that the journalists would all hang out and drink/eat at. It was quite lively last night and we had excellent pizza along with cheap beer and cocktails. We also got our Lao visas sorted out so instead of having to fly into Laos (where we could get a visa on arrival) we now can travel overland through Cambodia into southern Laos. That will be a haul but should be interesting. Tommorrow we head to Battambang, the 2nd largest city in Cambodia but one not frequently visited by tourists. We don't really know what to expect there but it sounds pretty laid back. We might rent some scooters and go explore the countryside. After that we head to Siem Reap, we'll spend a few days seeing the temples of Angkor before heading back to P.P. 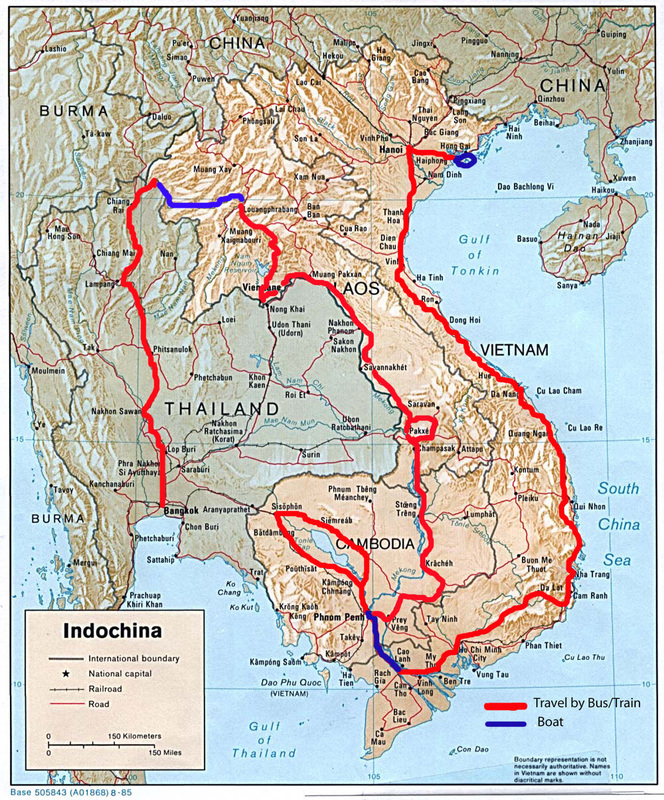 for a day or two to begin the long slog up to Laos.